Headcount is 201, up from 179 in 2009. Seth Rosenstein returned to MWW as CFO to spearhead its management buyout from Interpublic Group. Headcount is 201, up from 179 in 2009. Seth Rosenstein returned to MWW as CFO to spearhead its management buyout from Interpublic Group. Jared Hendler joined as EVP, global director of digital and creative services. 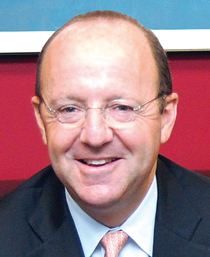 David Herrick came from Kaplow to serve as EVP of MWW's consumer lifestyle practice and general manager of the New York office. Departures included Cheryll Forsatz, who left to join MWW client McDonald's, Ame Wadler, who went to Zeno Group; and Joe Becker, VP and head of Dialogue Media. In 2010, MWW launched Dialogue Digital by consolidating its digital media practice and creative services team. It also launched a corporate affairs practice to direct the firm's CSR division and stimulate multiplatform engagement. The New Jersey and New York City offices grew due to a number of AOR wins and a stream of project assignments across several practices. Wins included Healthways, Water Research Foundation, and Spectra Energy Transmissions. MWW lost Volkswagen of America and Raymour & Flanigan. Revenue was $34,798,000 in 2010, with a profit margin of 19%. MWW's year was dominated by December's management buyout from IPG, which the agency had been part of since 2000. MWW founder, president, and CEO Michael Kempner says, "We had a very good year, with growth across all sectors and strong top- and bottom-line growth that culminated in the management buyout, which has already propelled us into very significant changes in 2011."